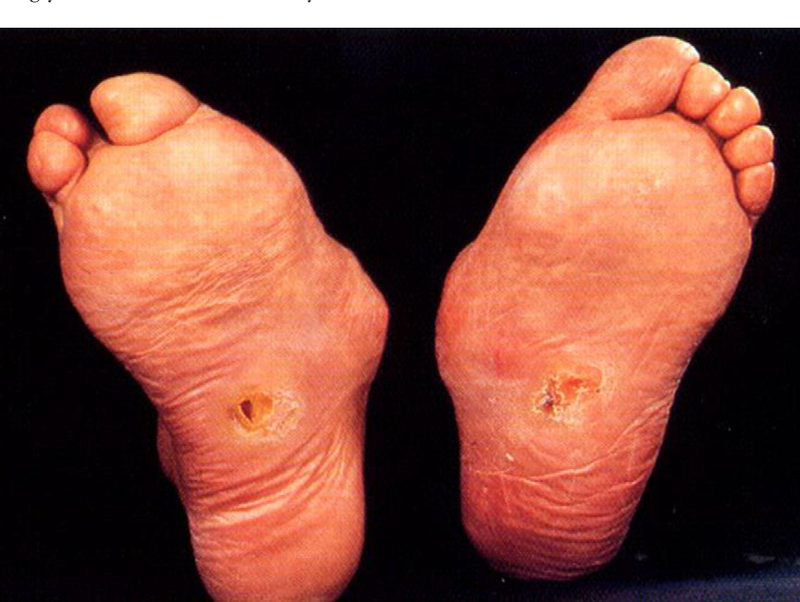 Neuropathic arthropathy, also known as Charcot Foot, is a comorbidity for up to 7.5% of diabetic patients with neuropathy. A third of these patients have trouble with both feet. Most patients have had poorly controlled diabetes for 15 to 20 years by the time we see degeneration of the joint and bone loss, causing the deformity. We suspect these figures are low due to how easy it is for clinicians to miss the progression of Charcot Foot. The acute stage mimics cellulitis and the chronic condition resembles osteomyelitis—which are also common diabetic comorbidities. Plan on hosting holiday get-togethers over the next few week? It’s not too late to run out and grab a new pair of shoes! You may not spend 120,000 hours on your feet like a career chef, but if you’re over 40, you’ll likely feel the effects of holiday prep on your feet, hips, and lower back. Chefs encounter a number of foot ailments, from Plantar Fasciitis (stabbing pain along the arch of the foot) to Hallux Ridigus (a stiff big toe joint, informally called “Chef’s Foot.”) A good pair of shoes makes all the difference in the world. Our NYC podiatry team frequently makes footwear recommendations to patients looking to maintain their comfort level, particularly when entertaining family and friends. If you don’t have time to stop by and see us, these kitchen shoes can get you by in a pinch. Itchy feet is a terribly irritating problem that makes it hard to focus on anything else. Not only is it embarrassing in public, but it frequently ruins the chance at a good night’s sleep. In Wednesday’s post, we discussed common causes of itchy feet such as athlete’s foot, bug bites, dermatitis, diabetes, and dry skin. White Plains podiatrists from The Center for Podiatric Care and Sports Medicine have five more common culprits behind foot itching. If your feet are constantly itching, you may wonder what causes itchy feet, and whether it’s a serious concern or not. Here in our White Plains office, podiatrists at The Center for Podiatric Care and Sports Medicine treat patients with itchy feet with many different underlying causes. The prevalence of itchy feet seems to increase significantly over the winter months, so we thought we’d share ten of the most common reasons for itchy feet in our two-part series. You’re not likely to encounter problems with your legs, feet, and ankles on a two-hour “puddle jumper” flight from New York City to Charleston, South Carolina; but if you’re hauling across the country to California, Texas, traveling to Europe, or visiting some other far-flung destination, planning ahead to avoid edema in legs is prudent. Find out what the risks of a long-haul flight might be and how to stay healthy while you travel from your friends here at The Center for Podiatric Care and Sports Medicine. Getting ready to travel for the winter? While many people flock to New York City to enjoy the festive atmosphere, some of us are planning a great escape to warmer weather in places like Hawaii, Florida, and the Carolinas. Comfortable shoes are something you can’t afford to forget. Here are a few tips from NYC podiatrists on making sure your footwear will be up to all the extra miles you’ll be walking on vacation. No, it’s not just a suspicion. NBA players really are getting injured at a higher rate in 2018. In fact, the 5,000+ players on the injured reserve list have made this year the worst in over a decade. Basketball injuries have increased 31% since last year. Sure, certain players—like Derrick Rose, Joel Embiid, and Chris Paul—seem particularly prone to getting hurt, but the widespread nature of injuries indicates there is something more going on than individual robustness (or lack thereof!) Four years ago, teams were similarly decimated by injuries to nearly all the NBA’s key players. Do Anti-Blister Socks Really Work? NYC Podiatrists Discuss. From soccer and roller-skating to hockey and skiing, many of the sports we love cause blister injuries on our feet. While a blister may seem like little more than a nuisance for a couple of days, it can cause pain when wearing socks and shoes. Keep in mind, any break in the skin’s barrier opens up a portal into the body for infections to take hold. Wart virus, athlete’s foot, toenail fungus, staph infection, and sepsis are just a few of the more serious complications associated with blisters. 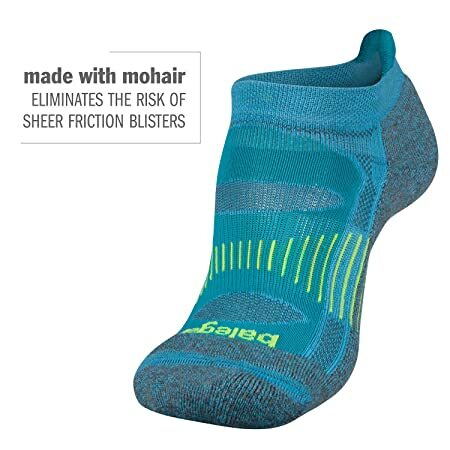 So it makes sense to seek out anti-blister socks to reduce your risk of injury. According to the CDC, an average of 115 Americans die of an opioid overdose every day. The misuse of prescription painkillers is one of the greatest crises our nation faces. By some estimates, nearly a third of the people prescribed opioids take their pills improperly. According to the National Institute on Drug Abuse, 8-12% of opioid users become dependent on the drugs, and 4-6% transition to heroin. In addition to the 33,000 Americans who die from overdose, another 2 million people suffer from substance use disorders. Naturally, as healthcare providers with the power to prescribe such potent painkillers, we take our role in all of this very seriously. After all, orthopedic surgeons are the third-largest prescribers of opioids. Whenever possible, we explore effective alternatives when helping patients deal with foot pain after surgery. We keep a close eye on the latest research to learn more about which patients are at highest risk of developing a psychological disorder or physical dependence on opioids. High Heels for Kids: How Soon Is Too Soon? This past summer, people were quick to criticize Victoria Beckham for allowing her seven-year-old daughter Harper to wear high heel shoes. Little did they know the daughter of Posh Spice had been wearing and running in heels since she was three! Tom Cruise and Katie Holmes caught similar flack for allowing their daughter Suri to wear high heels at age three. Little girls begin expressing the desire to wear mommy’s shoes around three years of age. Obsessions at this age can be fleeting, fickle, and intense. So do you cave and buy her the princess shoes? Do you commit to “no” for her entire adolescence? Or is there a place in-between that is medically and socially acceptable? NYC podiatrists from The Center for Podiatric Care and Sports Medicine weigh in on high heels for kids.